The former owner replaced the original SX-64 KERNAL (251104-04) with a C64 one (901227-02), most probably to be 100% compatible with all the games. 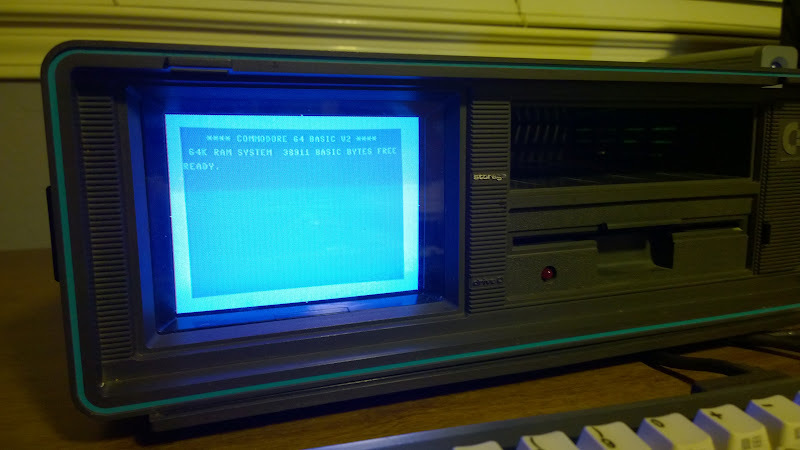 But an SX-64 doesn’t feel like an SX-64 without its unique colors. That’s why I replaced the KERNAL chip again, this time with the original one. 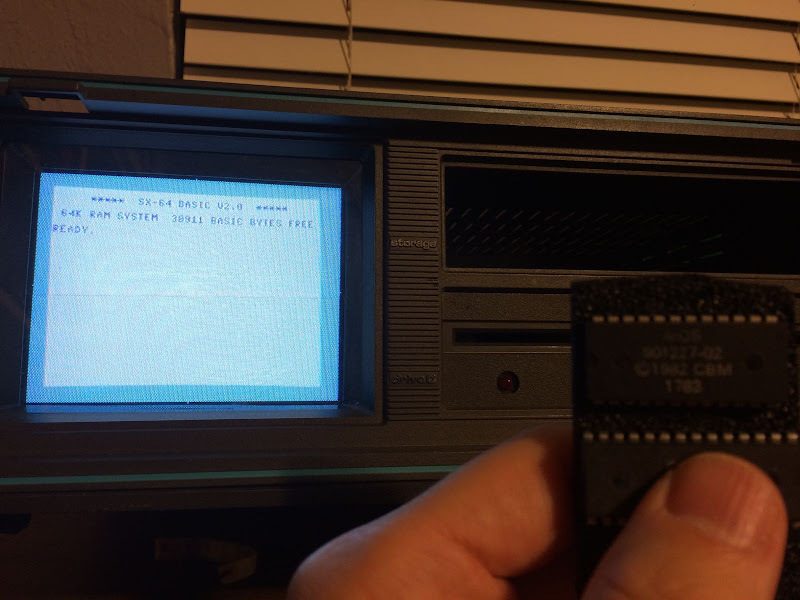 Actually I couldn’t find the original chip (the MOS 251104-04) anywhere, so instead, I installed an EPROM chip with the original SX-64 KERNAL programmed into it. I think my 251104 has gone bad. I just bought a 901227 to test it with since I cannot find a 251104. my screen is blank and no keyboard input works, the floppy does start up and stop on power up. The 251104 is getting hot after a minute or two. Can you tell me if that chip gets hot or not? Also would you be interested in making me an eprom with the kernal like you did? The 251104 shouldn’t get to hot. It is just a ROM chip. I bought the EEPROM + ROM already pre-burnt from the user ‘androSID’ at Lemon64.